Are you looking for the Noreaster condos for sale in Ocean City NJ? Located at 700 Pleasure directly on the bay in Ocean City. Built in 1985, there are 22 units, with two bedroom and three bedrooms all with two bathrooms. Pets are not allowed and there is two car assigned parking. 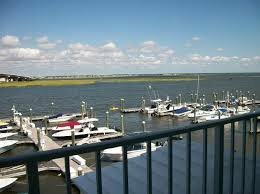 Amenities include cable tv, deck/porch, dock/boatslip, pool, security, clubhouse, storage facility, and outside shower. Located close to the new 9th street causeway for easy access on and off the island.